The recent news:rewired digital journalism conference saw speakers gather from around the world to discuss the latest trends, tools and tips in digital journalism. If you missed out on the day – or just want a recap – you can find all the publicly available information here, as well as information about upcoming news:rewired events. As tickets have now sold out, what treats are in store for delegates attending the digital journalism conference on Friday, 3 February? The one-day conference on the latest trends in digital journalism will open with a keynote speech from Liz Heron, social media editor at the New York Times, who will give delegates a taster of social media strategy from across the pond, outlining how the title taps into social networks for newsgathering and community engagement. The remainder of the day will feature a total of six sessions and three workshops for delegates to choose from. See the agenda for full details. Image by dennis on Flickr. Some rights reserved. This post contains presentations from session 3B, collaboration in investigative journalism, featuring Iain Overton, managing editor, Bureau of Investigative Journalism; Simon Perry, founder, Ventnor Blog; Paul Lewis, special projects editor, the Guardian and Christine Spolar, investigations and special projects editor, the Financial Times. This post offers presentations from Session 2B – Social media strategy featuring: Jack Riley, head of digital audience and content development, the Independent; Stefan Stern, director of strategy, Edelman; Mark Jones, global communities editor, Reuters News; Mark Johnson, community editor, the Economist and Suw Charman-Anderson, social technologist. The social media strategy session at news:rewired – noise to signal takes a closer look at how news organisations are using social media to report and engage with online communities. How can journalists measure the impact of their online reputation? This selection of resources shows examples of how political journalists broadcast their work online and interact with one another. 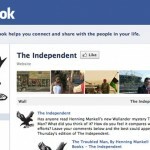 There are also guides to social networking policies, Twitter style, and Facebook news feeds. 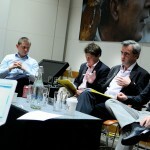 Journalism.co.uk’s next news:rewired event will take place on 27 May at Thomson Reuters’ London offices. news:rewired – noise to signal is a one-day event for journalists and communications professionals who want to learn more about the latest tools and strategies to filter large datasets, social networks, and audience metrics into a clear signal for both the editorial and business side of the news industry. Panel sessions will cover: the data journalism toolkit, audience and demographic data, building social media strategies; measuring online reputation; developing the data story through visualisations; community engagement; and how to effectively filter and verify the social media information flow. news:rewired events are for: working journalists with an interest in digital media; media trainers and students; journalism and communications academics; PR and communications professionals; and anyone interested in the future of the journalism and media industries. You can see the full agenda here. 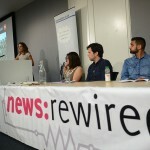 You can also subscribe to the news:rewired site to receive updates about the event at this link, or email rachel [at] journalism.co.uk for more information. See our speakers and delegates from news:rewired – beyond the story, 16 December 2010, in the slideshow below. We’ve been adding new speakers to our agenda for news:rewired – beyond the story over the past few weeks. In case you missed the changes, here’s who is joining us. Journalism.co.uk’s news:rewired – the nouveau niche event took take place on 25 June 2010 at Microsoft UK’s London office. 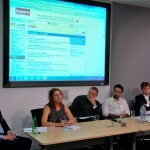 The aim was a one-day event for journalists and communications professionals with a specialist subject or beat, offering new, practical ideas for online publishing. 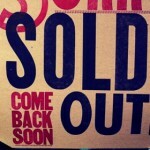 It was a follow up to our first conference in January with more of a niche focus this time around. We’re busy collecting all the blog posts, tweets, videos and more from the day at this link. You’ll also be able to see presentations from our speakers on the website soon. If you came and want to catch up, or couldn’t make it, it’s worth checking out coverage of the day from our reporters Rachel McAthy and Patrick Smith and the liveblog of tweets from the day. You can also see who’s been tweeting about the event under the hashtag #newsrw on our tweetwall. More information on the speakers and the day’s agenda is available here. 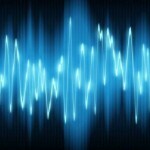 If you’re interested in hearing about future events from Journalism.co.uk, drop us an email.